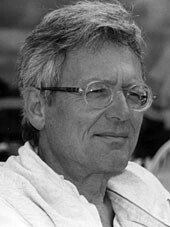 Martin Aigner is an Austrian mathematician, professor at Freie Universität Berlin since 1974, with interests in combinatorial mathematics and graph theory. He received Ph.D from the University of Vienna. His book Proofs from THE BOOK (co-written with Günter M. Ziegler) has been translated into 12 languages. He is a recipient of the 1996 Lester R. Ford Award for his expository article Turán's Graph Theorem.